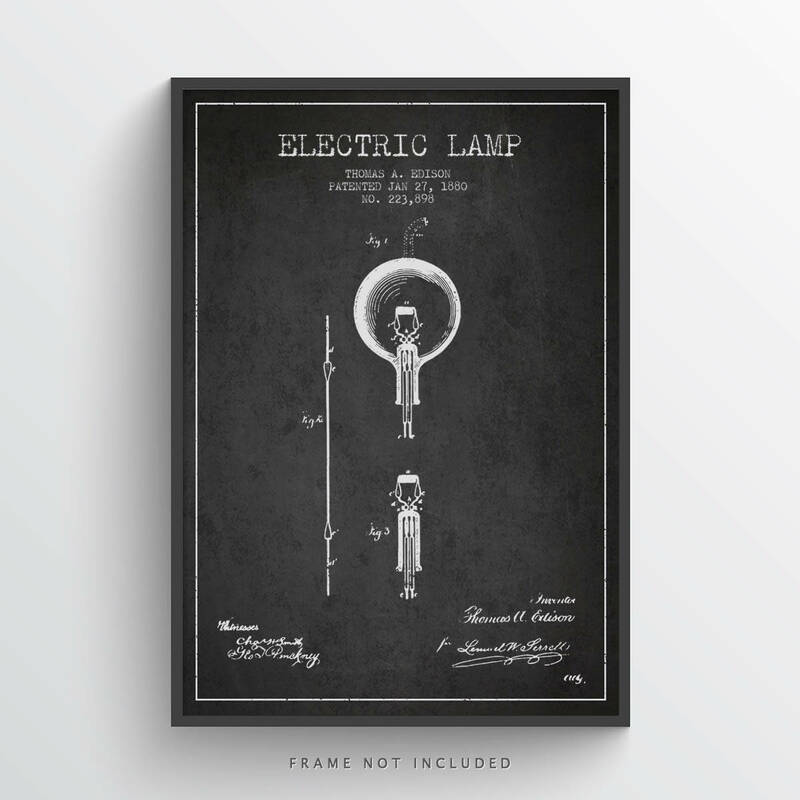 1880 Thomas Edison Electric Lamp Patent Poster. Beautiful POSTER print for your home or office. Meticulously cleaned, refined and all titles and patent numbers rewritten.